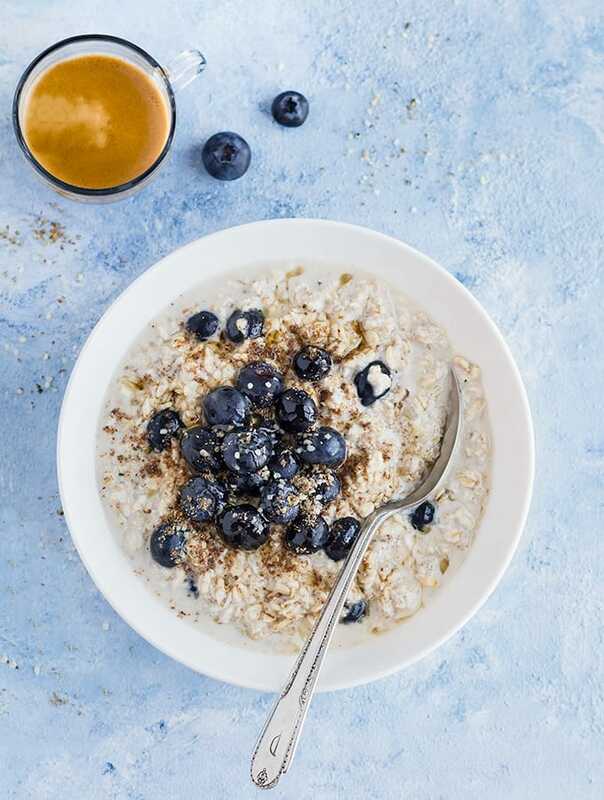 If you’re tired of the usual breakfast, change up your routine and make these healthy and simple Blueberry Overnight Oats. Overnight oats are great for busy mornings because they can be made ahead of time, are super easy to prepare, portable, and they’ll keep you full until lunchtime. How to make blueberry overnight oats? This recipe is so easy and quick, it literally takes 2 minutes to throw together! Mix equal parts milk and oats in a mason jar, and top with blueberries, vanilla extract, and honey for a touch of sweetness. Close the lid, shake the jar, and refrigerate overnight for at least 4-5 hours. In the morning, stir the oats and add a splash of milk for a thinner consistency then top with fresh blueberries, a drizzle of honey, and if desired, hemp seeds and flaxseed meal. 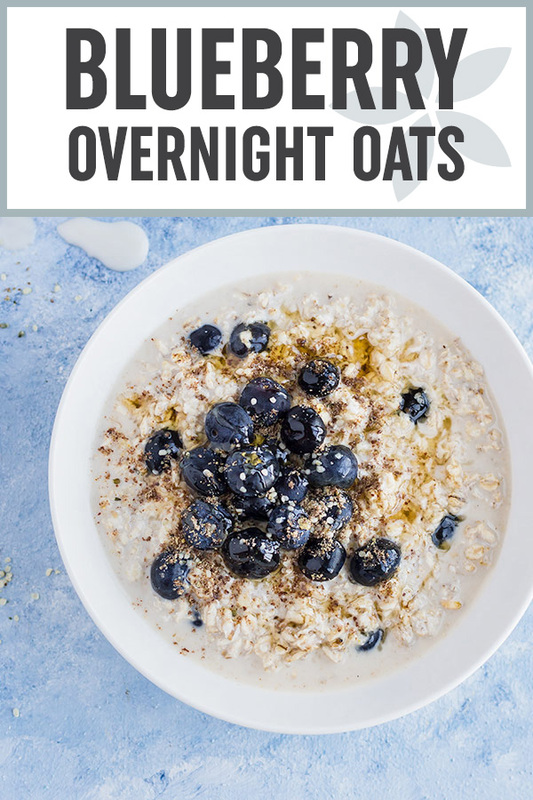 Can you warm up overnight oatmeal? As overnight oats don’t require cooking, this tends to be my go-to breakfast when the weather gets warmer. 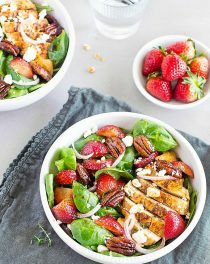 It’s cool, creamy, hearty, and nutritious, plus I love adding in fresh seasonal fruit and berries. You can enjoy overnight oats straight from the fridge or heat them up in the microwave for about 1 minute. 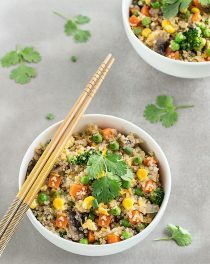 It’s easy to make a big batch and eat it throughout the week because it saves well for up to 5 days in the refrigerator. Just remember to give them a good stir before digging in. 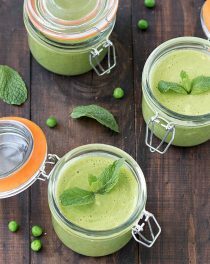 On those days when I’m running out the door with no time to sit for breakfast, I just grab the jar and a spoon and take it with me! The other fun thing about overnight oats is that they never have to get boring. This recipe is versatile, you can add anything you want or whatever is in your kitchen! I like to play with different combinations of fresh and frozen fruit, adding sprinkles of spices like cinnamon or nutmeg, citrus zest for a bit of tang, nuts for protein and crunch, or coconut flakes. Even a few tablespoons of chocolate chips (mixed in right before eating) tastes delicious, and it’s a great way to get your kids to eat their breakfast! Because there are so many variations and substitutions, overnight oats can accommodate many special diets. It’s a great nutritious option if you’re vegan or you eat dairy-free – just use coconut, nut, or hemp milk for your liquid. If you’re on a gluten-free diet, swap regular oats for gluten-free ones. 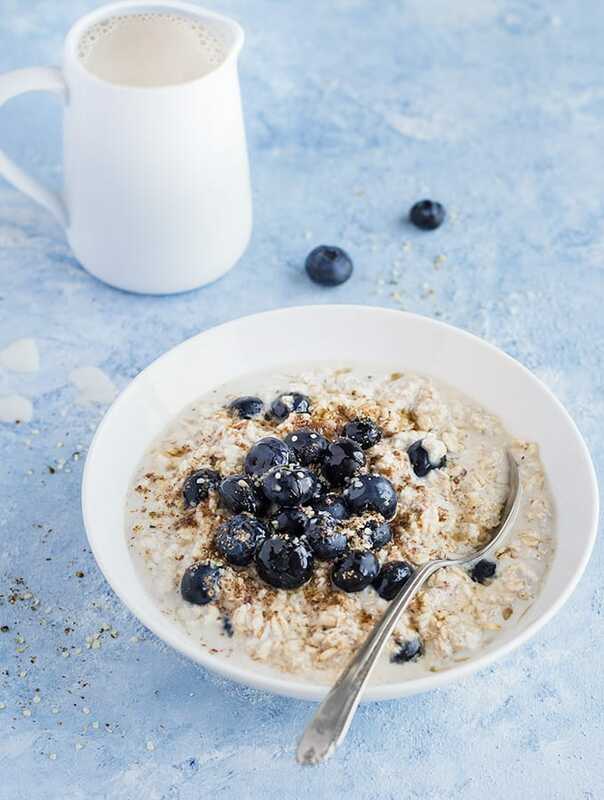 Or, if you want to add some gut-healthy probiotics to your meal, mix your oats with yogurt. Oats: Old-fashioned rolled oats work best. Liquid: You can use any combination of dairy or non-dairy milk, or even yogurt; just stick with the 1:1 ratio. Sweetener: Use any sweetener you like – honey, maple syrup, or agave nectar. Mix-Ins: Fruits (fresh or frozen), nuts, nut or seed butters, spices, seeds, and citrus zest. Make it vegan: Use maple syrup or agave nectar for sweetener. Make it sugar-free: Leave out the sweetener and add 1/2 mashed ripe banana instead. I like to put my overnight oats in a mason jar or in a bowl covered with plastic wrap, but any airtight container will do. You’ll want to eat this tasty, filling breakfast every morning because, with a little imagination, each serving can taste different! If you give these simple blueberry overnight oats a try, let me know what you think! Leave a comment, rate it, and don’t forget to tag a photo #aseasyasapplepie on Instagram. 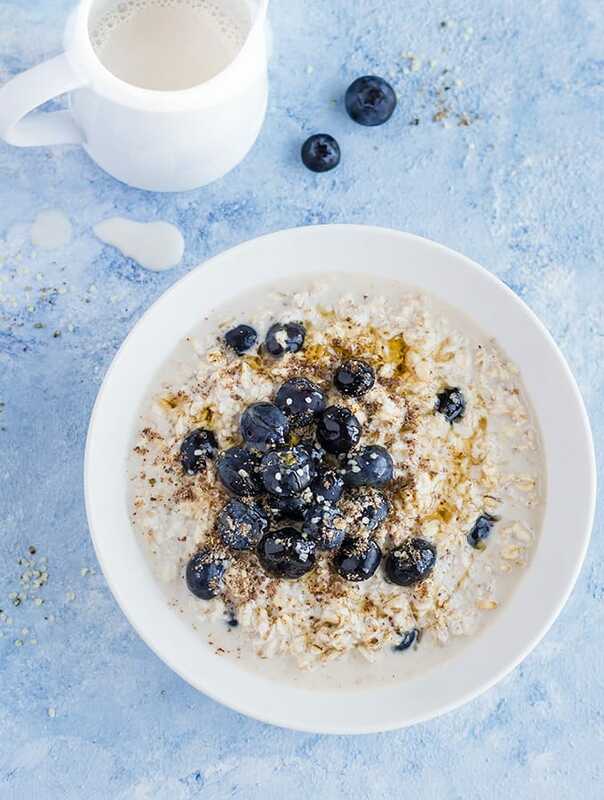 Make a big batch of these simple blueberry overnight oats and enjoy breakfasts throughout the week! In a 16-ounce mason jar, combine the rolled oats, almond milk, honey, and vanilla extract. Stir, then add the blueberries. Stir again, cover with the lid, and place the jar in the refrigerator overnight or at least 4-5 hours. 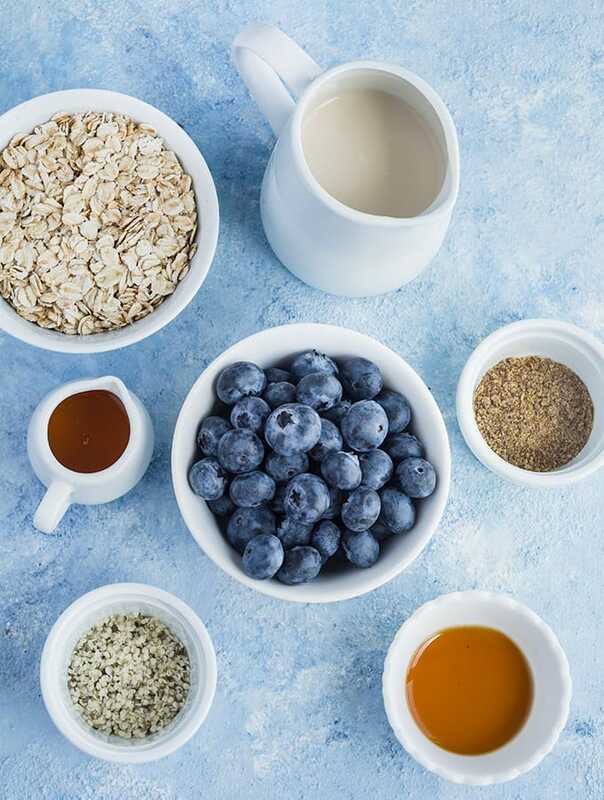 In the morning, stir up the mixture, add a little more liquid if you prefer a thinner consistency, then top with fresh blueberries, a drizzle of honey, and if desired, hemp seeds and flaxseed meal. This is an awesome idea. Loved it. I keep tweeting the recipe with whatever fruits I hv in the refrigerator. I didn’t want to add any sugar or honey so I added chopped dates and raisins for a bit of sweetness. Keep sharing healthy and easy recipes.